There seems to be a common misconception about the cloud not being secure. Organizations are worried that by utilizing the cloud, they risk compromising important company information and confidential data. This could not be further from the truth. In fact, the cloud adds security to your environment and workspace. It is more secure than using your laptop! A global study of more than 4,000 organizations done by the Ponemon Institute Thales e-Security found that using the cloud for processing and storing critical data is almost an inevitable solution. More than half of all participants responded that their organizations already transfer sensitive or confidential data to the cloud while only 11% say that their organization has no plans of doing so. This is down from 19% two years earlier (Forbes). Think of cloud security in terms of accidentally downloading a virus. When you do so on you work laptop, there is a good chance it will corrupt all your important files and information. You will then notice your computer running slowly and your private data is now compromised. However, if you were to download the same virus on your virtual laptop, the same thing should happen, right? Actually, that is wrong. As soon as you are aware that you have a virus, you can have your administrator pull your desktop back in time to before the virus was downloaded. Literally, you have the ability to revert back in time to the previous “image” of your desktop. You’re no longer vulnerable to that virus and your private data is no longer being compromised. When Sony Pictures Entertainment experienced a cyber-attack around the release of their movie “The Interview”, a hard and expensive lesson was learned. Not only were Sony’s eyes opened to the other security requirements for their industry, but businesses began considering the costs of managing and securing their information in-house rather than utilizing the cloud. The cyber-attack on Sony cost them around $100 million, not including the loss incurred by the hit to their reputation. They’ve had to invest an abundance of time and energy into rebuilding and diagnosing what really caused the security breach. The unending amount of fees they face such as responding to investigations from the Federal Trade Commission and Securities and Exchange Commission, and potentially state attorneys general, will definitely add up and put a financial burden on the company. It also caused an insurmountable loss of good-will for Sony. They also lost valuable information like strategic planning and trade secrets that affect a corporation’s profits. The hackers got ahold of confidential personnel records of its employees and various embarrassing emails from executives, all of which endangered Sony’s relationships with employees, talent, contractors and vendors (Logicworks). Had Sony been utilizing cloud services, the situation would not have unfolded in the detrimental way that it did. Their valuable information would not have been lost as it would have been stored safely in the cloud. With the extensive security placed within the cloud, hackers would not have been able to access any of their confidential personnel records. This would have ultimately avoided the situation and saved Sony from the losses that occurred. 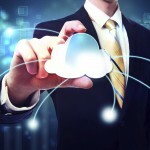 More and more organizations are moving to the cloud, and rightly so. The security only continues to improve and the risks of in-house assets continue to rise. Forbes says that 47% of marketing departments will have 60% or more of their applications on a cloud platform in two years. This year will be the year that the doubts of cloud security will be put to rest. Don’t put yourself in a Sony situation. The use of mobile devices for business can no longer be ignored. It’s changing the way business is done and that’s proving to be a positive thing. While many organizations have taken this development in stride, others are turning a blind eye to the inevitability of business mobility. Research and statistics show that technology brings many advantages to the table, and70% of professionals will work via smart, mobile devices by 2018. Why leave your professionals in the dust? Let’s debunk some of the major myths regarding mobility in the workplace. Myth #1: Your employees will be less productive. Today, your employees will actually be less productive if they’re chained to one location, without the option for mobility. The fact of the matter is that work productivity is a management problem, not a technology problem. 90% of business communications stretch far beyond the local workplace – so why limit employees to that local workplace? Imagine that an employee has to leave the office for a meeting or to make a sale. It’s counterproductive for that employee to head back to the office to complete and submit a form, and it’s not good for your customer service if employees in the field can’t access necessary data or complete deals on the spot. Business mobility strategies actually save time and can ultimately increase sales by giving employees the tools they need to make quick decisions. These capabilities also improve a business’ reputation. 64% of employees conduct some sort of business after hours at home. The magic of cloud computing and mobile devices is that they allow people to complete business tasks from any location, at any time. This actually increases productivity, allowing your employees to produce the same quality of work while away on a business trip or otherwise working remotely. Myth #2: Mobility will make your business less secure. Of course, as with most technology, there is risk associated with business mobility. But, as with most technology, risk can be addressed. As you implement mobility into your business, you simply need to focus on risk management and security. By paying attention to Mobile Device Management, analytics, encryption, authentication and strict policies, you can implement a mobile strategy in a risk-free way. Many studies show that employees are already using smart devices for work, with or without company approval. Rather than ignoring this fact or expecting to put a stop to this trend, address it by creating a company-wide policy. This should include the acceptable use of devices, security measures, technical standards, etc. Check out this article for guidelines on how to do BYOD the right way. This can (and probably should) be something that employees are required to sign off on. It should also be accessible to employees at all times. Though employee policies tend to fall to the Human Resources department, this is a process that should include the IT team and others with a knowledge of technology and mobility. By combining policies with training on the importance of data security and user diligence, the risk of business mobility becomes no greater than that of other business initiatives. Myth #3: All mobile devices are the same. You may be thinking, “Well of course they’re not all the same,” but too many businesses today are treating all devices equally. People use different devices for different reasons. Compare the typical use of a laptop vs. smartphone vs. tablet. Of course there is overlap, but one policy won’t necessarily cover the essentials for all of these devices. They might each require unique management strategies, so a business should address that when moving forward with a mobility strategy. Myth #4: Business mobility is optional. The fact is that mobility is a huge part of the business world already. Almost 1/3 of enterprise data is accessed through mobile devices today. Organizations ignoring this fact might find themselves falling behind. Today, a great business strategy practically requires a mobility strategy, as it factors into employee productivity, company collaboration, business profits, customer service, marketing and much more. And any business expecting to grow will need to give employees the ability to access business data on the go. The trend towards mobility is driven by a desire for greater productivity and flexibility. To ignore it would be counterproductive for a business. Don’t let your business down. Mobility in the workplace is important. By debunking these popular myths, we hope to help businesses adopt a mobility strategy that is both effective and safe. Whenever we begin the Great Transition from one form of technology to another, the one concern that plagues the providers of the new technology is security. Skepticism about the security of a new and unknown type of technology is one of the biggest things that makes potential customers wary about making the switch.VoIP is in a sort of grey area where it’s no longer the newest technology on the market, but still, not everyone has adopted it yet. Therefore, a lot of people know the benefits about switching and are planning on doing so, while others are new to the technology and still figuring it out. For anyone in either of these camps, there are things that are important to know. The main thing to bear in mind is the fact that the security of your WiFi connection has little to do with the security of your VoIP. An insecure WiFi connection does not necessarily mean that your VoIP connection is insecure, and vice versa. That said, here are some ways that you can rest assured that your VoIP network is secure. It may be quicker and easier for your employees to click the “keep me logged in” button, but that’s also a great way to weaken your security. If you want to know that your network is secure, require every username to have a password, and require the username and password to be entered every time the program is launched. This adds a second layer of security – even if a hacker is able to breach the network, they’d still need to hack a specific password to gain full access. Most VoIP providers offer a type of “fraud detection” monitoring that recognizes when a user is logging in from an unusual location, using the program for an unusual amount of time, or any other type of abnormal behavior. 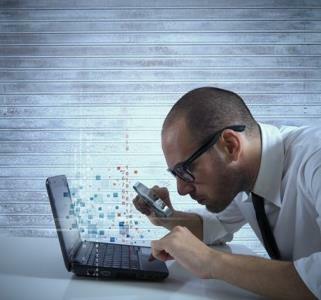 This is your best way to nip a problem in the bud should any security breaches occur. Luckily, a hacker is only able to access one user’s access at a time, so once you notice an issue arising, you can cut them off and change their login information. One of the best things about VoIP is that it allows you to access your business phone system from home, but when you’re outside of the office, you need to be extra careful (read: have common sense). Don’t let anyone know your password and don’t store your password on your personal computer. Be wary of who is around you if you’re working in a café or some other public location. It’s basic security stuff, but it goes a long way. You could have the most secure network in the world, but still have an issue due to a simple mistake. The fact of the matter is that no network of any kind is perfect, but when you understand what you’re working with better, you can take charge of its security. One of the arguments most frequently made for switching to the cloud is the fact that it is secure. And, while this is true, nothing is perfect. You’d always rather be safe than sorry. Especially for retailers and financial institutions, security is paramount – although not every institution makes it their top priority. Companies should always be operating as though they are at risk for a data breach, because in essence, it’s always a possibility. Something that not many people realize is that the vast majority of news-making data breaches have occurred on out-of-date network systems with similarly out-of-date security measures. Embracing the cloud means embracing the latest technology, whether that’s in organization, integration, or, yes, security. What we’re trying to say is that yes, it’s time you upgraded to the cloud and no, you shouldn’t be afraid that the cloud will put you at risk for security breaches – they’re much safer than the legacy servers you’re probably using. 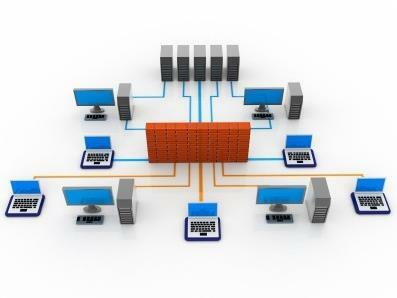 But, once you do move to the cloud, it’s important to employ best practices to keep your business safe. Here are three tips to achieving cloud safety. It’s becoming increasingly common for companies to have their employees bring their own devices, better known as BYOD, to work. Some employees even prefer this over having separate computers, phones, etc. While this may be efficient for your company’s needs, it’s important that everyone understands how to keep their devices safe. Hold frequent meetings to let staff members know what could happen if their devices fall into the wrong hands, what applications are secure and which aren’t, and how to protect themselves. A lot of companies have made it mandatory for employees to lock/password protect their computers whenever they are away from their desks, which is never a bad idea. Chances are, the cloud platform you’re using will encrypt your data automatically. That said, platforms do not always encrypt the data that is synced to mobile devices. It might be a good idea to look into file-level encryption to play it safe if you have employees who work remotely to any degree. Having this extra level security is entirely worth it – if only for your peace of mind. Security should be your priority. It may seem obvious, but surprisingly, only 40 percent of financial businesses think a data breach is a risk they face, even though small data breaches are incredibly common. Revisit your security often to see what new things you can do to stay safe, and have frequent trainings to ensure everyone understands the consequences of not doing so. You can never be too safe. Like we said before – it’s time to embrace the cloud and enjoy the integration it offers. You can now have your e-mail, applications, and phone systems all hosted in the cloud. That said, safety should always be #1 in your business, and it applies to the cloud as well.